Fremont Street? Downtown Las Vegas? Old Vegas? 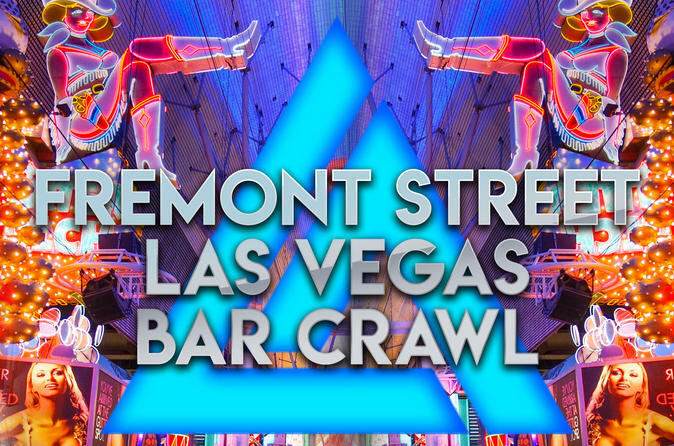 Regardless of what you call it… we have you covered for the most epic Downtown Las Vegas pub crawl! Visit the best bars and nightclubs on Fremont Street with exclusive drink specials, express entry and no cover charges. Leaving the strip can be overwhelming if you don’t know where to go… Let us be your guide to navigating the best Downtown Las Vegas Nightlife! HOW THIS DOWNTOWN LAS VEGAS PUB CRAWL WORKS: Fremont St is five blocks of pure entertainment, with an amazing mix of bars, restaurants, casinos and of course the massive Visa Vision LED screen. Meet our party hosts at the first venue on the lineup to check in. Here you will get to mingle with fellow partygoers, and partake in our exclusive drink specials. From there, your professional party host will lead the group to the best bars on Fremont Street!